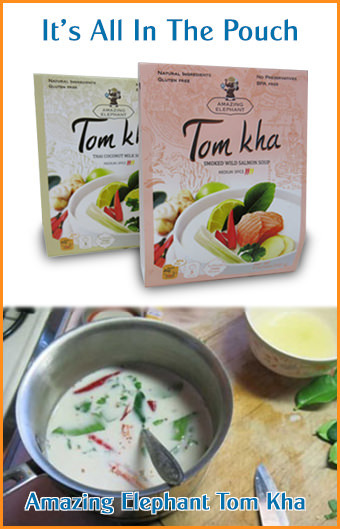 Recently we were introduced to this recipe by an accomplished chef with extensive culinary training in Bangkok. We researched dozens of our own resources and came up with this version. There are many steps involved but we were able to create this in less than an hour, and the final result is somewhat mind-blowing, how a dessert can taste so good. This is one of those recipes you really should prepare. In a mixing bowl, combine rice flour, all purpose flour and salt. A nice option is to scent your coconut milk and cream by placing it in a pot, and set a lit fragrant candle in the pot, blow out the candle and quickly close the lid, let the smoke infuse the coconut for about 20 minutes. Next, add coconut milk and cream, and knead together with your hand. Add egg, knead together. In a dry pan over low heat, toast the rice until fragrant and light brown. Transfer to mortar and pestle. Roll the pestle against the rice, dont pound it. This makes the rice roughtly broken rather than a powder. Put in a bowl and set aside. In a pot, add palm sugar, cane sugar, and 1/4 cup water. Stir over low heat. Slowly add about 6 tablespoons of water and a few tablespoons of coconut milk, and salt. Keep stirring. Add pounded rice and shredded coconut, and combine into a paste. Peel about 8 bananas. Use one ziplock bag, cut the bag to make one flat sheet of plastic. Put about 3/4 tablespoon of palm sugar batter onto the plastic and shape it into an oval about the size of your banana. Set banana on top of the batter, then cover the top of the banana with more batter. Pick up the sides of your plastic sheet, and gently tighten the batter around banana so it's one solid bundle. Remove this bundle and set aside on another sheet of plastic. Repeat this until your batter is gone. Next, dip each bundle into the dipping batter and surround well. Place banana in a wok with oil to fry it. Fry it gently and flip over until it's browned. The final step is to sprinkle some of the dipping batter into the oil, in little pieces by dripping it in from your fingertips. Fry this and set aside. Serve your khao mau tod with the bits of fried batter (see picture below) and sweetened coconut cream. The coconut cream is simply 1 cup of warmed coconut milk with a teaspoon of sugar and a dash of salt added.